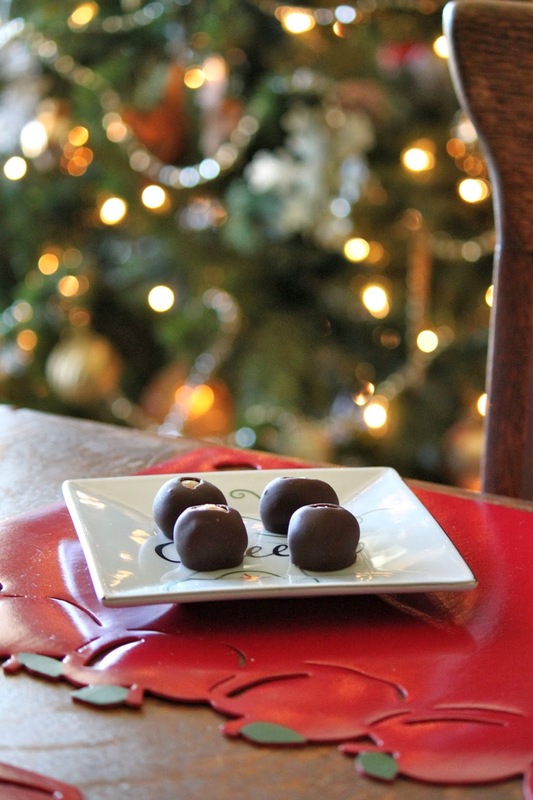 Buckeyes are my all-time personal favorite holiday treat. I can eat my weight in them. I like to make them in large batches and then freeze them to give away or set out for company as needed. I eat them straight from the freezer too! In a large bowl, mix together the peanut butter, butter, vanilla and confectioners' sugar. The dough will look dry. Roll into 1 inch balls and place on a waxed paper-lined cookie sheet. Press a toothpick into the top of each ball (to be used later as the handle for dipping) and chill in freezer until firm, about 30 minutes. Melt chocolate chips in a double boiler or in a bowl set over a pan of barely simmering water. Stir frequently until smooth. Dip frozen peanut butter balls in chocolate holding onto the toothpick. Leave a small portion of peanut butter showing at the top to make them look like Buckeyes. Put back on the cookie sheet and refrigerate until serving. How many does this recipe make.. Looks like a lot of ingredients. Can I do half? Thanks...chocolate and peanut butter yum! Depending on the size you roll the balls, this will make 30-40. You can definitely cut the recipe in half. My boyfriend likes to try to tell me they are not Buckeyes, they are peanut butter balls. But he's a PSU alum and I know better as an OSU alum ;-). But not matter what you call them all can enjoy them!